A synergistic blend of herbs that helps support the liver & gallbladder. 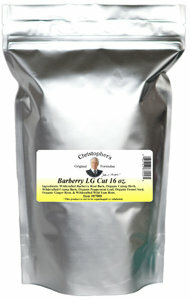 Dr. Christopher's Barberry L.G. Cut helps support the proper function of the digestive system, particularly the liver & gallbladder. Also available in Capsule (Liver & Gallbladder), Extract (Liver & Gallbladder) & Powder form.